Nurkic generated 13 points (6-8 FG, 1-2 FT), 10 rebounds and one block across 22 minutes in the Trail Blazers' 126-118 win over the Mavericks on Wednesday. For a change, Nurkic's abbreviated minutes weren't a result of foul trouble. Instead, it was the Trail Blazers' comfortable lead in the second half that provided him some valuable time off after a highly efficient performance. Nurkic has now churned out five consecutive double-doubles, and he should enjoy a boost in usage to some degree as long as C.J. McCollum (knee) remains out. 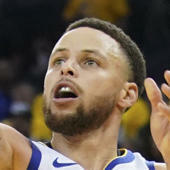 Notably, Nurkic had put up 21 and 15 shots, respectively, in 30-minute-plus workloads over the prior two games, which consisted of the game McCollum exited early and the two-guard's first absence; his reduced playing time Wednesday was the only factor preventing a recurrence of the same.